On Saturday November 4th and Sunday, November 5th, the World Drug Free Powerlifting Federation hosted their annual World Championships in Boston USA. CrossFit Basel was represented by four athletes and won one bronze medal and took 1 european record and 6 swiss records! Our lifting Team currently holds 99 swiss, 12 european and 10 world records! Unfortunately Patrick could not successfully lift the Bench Press minimum weight and therefor was not ranked. „We spent a great time in Boston seeing old friends and making new ones. I love competing in the WDFPF because the atmosphere is very friendly. It is two days of lifting and everybody, Teenagers, Seniors and Masters, men and women, competes together on the same platform. Athletes are cheering for each other, helping each other out. Our federation is very inclusive and the community is strong. The anti doping rules are the most strict in the world. Cheaters get banned for life. They are not allowed to come back, unlike other sports or federations. Hence it’s the drug free federation, not only drug tested. Nevertheless, last year, 10 people have been caught using illegal substances. Being abroad is always a great opportunity to see other CrossFit Boxes. Powerlifting is a very safe sport. We rarely have injuries happening at our competitions. The benefits of strength training are well documented and established. It’s not unusual to have athletes competing into their 80s in our federation. You build muscle which supports your skeleton. Strength training is the practical application of basic physics. You learn to control external objects, being aware of optimal body and object position. Powerlifting is a very healthy sport. More people should lift. In fact, people working an office job should lift. Most people don’t think about it, but you move into a nursing home once you are not strong enough anymore to fulfill everyday activities. The longer you are strong, the longer you will be independent. Consistency, listening to your body, patience. Respecting the process will make you strong. Being strong (and fit in general) gives you more opportunities in life. Start easy, only 2h of training a week can lead to great results already! Try a Powerlifting or CrossFit class at our box. Finding time to calm down before a competition is crucial. The Boston area is beautiful! Are you interested in hosting one of Ramon Gysin’s Powerlifting Seminars? The next event for our team is the Swiss Powerlifting Championship (date and location to be announced). Dieser Beitrag wurde am 8. November 2017 von cfbs in Allgemein, Events, Powerlifting veröffentlicht. 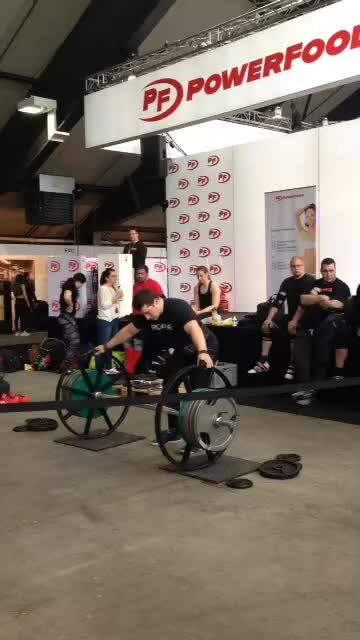 Schlagworte: Athletes, Backsquat, Bench Press, Coaching, Deadlift, Olympic Weightlifting, Powerlifting, Powerlifting World Championship, Ramon Gysin, Strength Training, Strongman. On Saturday April 29th and Sunday, April 30th, the World Drug Free Powerlifting Federation hosted their annual European Championships in Biella IT. CrossFit Basel was represented by four athletes and won 2 gold and one bronze medals, took 3 european records! Our lifting Team currently holds 111 swiss, 4 european and 9 world records! Ramon also attempted a world record in the Backsquat of 278kg. Unfortunately he didn’t make it. Domenico, 80y old. 53kg bodyweight. 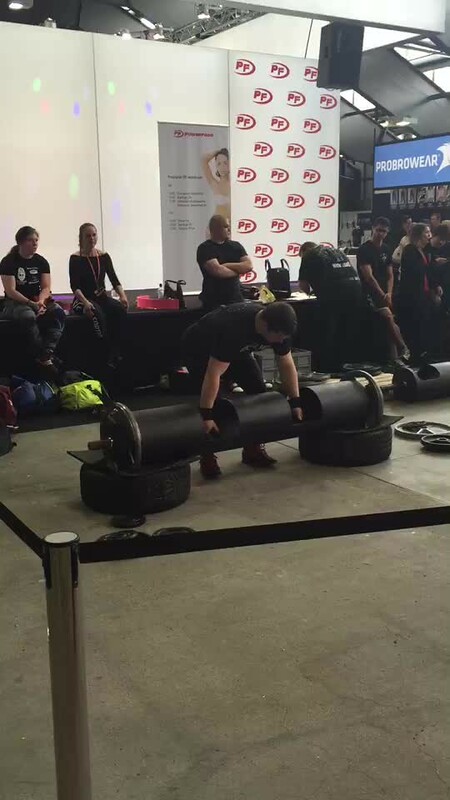 140kg Deadlift. Role model. The next event for our team is the World Powerlifting Championship in Boston USA (3-4. November 2017). Dieser Beitrag wurde am 1. Mai 2017 von cfbs in Allgemein, Events, Powerlifting veröffentlicht. Schlagworte: Backsquat, Bankdrücken, Bench Press, Competition, CrossFit Basel, Deadlift, Gewichtheberverein beider Basel, Kniebeugen, Kreuzheben, Powerlifting, Powerlifting World Championship, Ramon Gysin, Strongman. On Sunday, March 20th, the Swiss Drug Free Powerlifting Federation (part of WDFPF) hosted their annual Swiss Championships in Lausanne. 30 athletes participated. The Committee thanks all volunteers and all participants, congratulations for the great results! CrossFit Basel was represented by seven athletes and won 6 gold medals, took 9 swiss and 2 european records! Monika, Sonja, Aline, Nick and me (Ramon) qualified for the World Championships in November. Our lifting Team currently holds 78 swiss, 3 european and 5 world records! Find detailed results and videos on the bottom of the post. The next event is the Swiss Single Lift Championship in Colombier (Saturday April 23rd). The World Drug Free Powerlifting Federation was established to give drug free lifters a home as in most strength sports there is no or little drug testing. In fact there is no other sports federation (including ALL olympic sports!) in the world today that knows such severe punishment like the WDFPF. If an athlete is tested positive he will be banned FOR LIFE and all past results will be erased. Congratulations to everyone for your fantastic performance and great achievements! 85kg Kniebeugen (CH Rekord) – Monika Kohler-Wiesli @ 69.3kg M4 – SDFPF Powerlifting Schweizermeisterschaft 2016 – Lausanne from CrossFit Basel on Vimeo. 110kg Kreuzheben (CH Rekord) – Sonja Gysin @ 58.2kg M3 – SDFPF Powerlifting Schweizermeisterschaft 2016 – Lausanne from CrossFit Basel on Vimeo. 122.5kg Kreuzheben – Aline Seebacher @ 63.2kg SR – SDFPF Powerlifting Schweizermeisterschaft 2016 – Lausanne from CrossFit Basel on Vimeo. 167.5kg Kreuzheben – Fisnik Kuçi @ 71.9kg JR – SDFPF Powerlifting Schweizermeisterschaft 2016 – Lausanne from CrossFit Basel on Vimeo. 170kg Kreuzheben – Fiorino D'Angelo @ 99.0kg SR – SDFPF Powerlifting Schweizermeisterschaft 2016 – Lausanne from CrossFit Basel on Vimeo. 160kg Bankdrücken – Ramon Gysin @ 99.0kg SR – SDFPF Powerlifting Schweizermeisterschaft 2016 – Lausanne from CrossFit Basel on Vimeo. Are you interested in hosting one of my Powerlifting Seminars? Get back to me via rg@crossfitbasel.ch. Dieser Beitrag wurde am 12. April 2016 von cfbs in Allgemein, Events, Powerlifting veröffentlicht. Schlagworte: Athletes, Coaching, Community, Competition, CrossFit, CrossFit Basel, Event, Powerlifting, Powerlifting World Championship, Ramon Gysin, Strength Training. 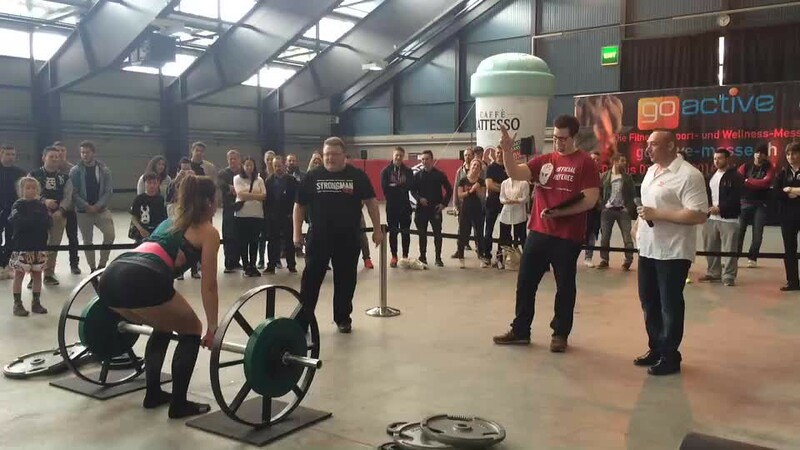 On Saturday April 2nd the Swiss Strongman Federation hosted the swiss championship in Log Lift & Axle Bar Deadlift in Lucerne at the GO-Active fitness exhibition. CrossFit Basel was represented with four athletes, Vanessa Grosdanoff, Bogdan Krumov, Bruce Phillips and Headcoach Ramon Gysin. In a last (wo)man standing style contest athletes competed in two different events. Athletes could skip a weight or jump in whenever they wanted. It was a short but intense competition. The ranking in each event was added to one final ranking. Bruce took 6th with 220kg. Vanessa tied first place with Larissa, pressing 55kg overhead. Bogdan and Bruce shared fifth place. Dieser Beitrag wurde am 5. April 2016 von cfbs in Allgemein, Events, Strongman veröffentlicht. Schlagworte: Competition, CrossFit, CrossFit Basel, Ramon Gysin, Strongman. Despite the Opens being over for a couple of weeks already, our team had to wait until past Wednesday to know wether they were qualified for the CrossFit Games Meridian Regionals or not: The team leaderboard had to be re-sorted as the the individuals dropped out of their teams (this sounds more complicated than it is: 30 men and 30 women will go to the Regionals, their scores do not count anymore to the teams score and therefore the team leaderboard looks much different now than right after the Opens). Long story short: This year only 20 teams from Europe qualify for the newly created Meridian Regionals (new super region, including Africa, read more here). We jumped from Rank 31 to 23 and therefore missed the qualification by 3 spots only. Half of our last years very successful Regionals Team dropped out either because of injury or private decisions. But as we are known for a very broad competition class (bringing 20+ different athletes to the European Regionals since 2011) producing high level athletes from the scratch, this was just a normal challenge for us. New athletes stepped into the game and for example on the girls side two new athletes would have gone to Regionals in case we made it. As CrossFit evolves as a sport, it gets harder to qualify for the most competitive events. Despite being better ranked than last year (31 before the adjustement of the team leaderboard compared to 34 in 2014), we did not qualify due to the change of the qualification mode: Only 20 Teams from Europe qualify, as opposed to 30 the last couple of years. So we clearly missed our goal to qualify a team for the Regionals. But there is no reason to be mad about this. It is what it is and it gives us an important information: We have to do more, invest more, work harder. Nothing else. Very simple and also easily to manage. What has to be done is very clear. We will find the most motivated athletes and will start focusing on next year already from next week on. There will be goal setting workshops to identify individual weaknesses, discussion about lifestyle and schedules. As our foundation is very broad, we now need to work more on the top end. It’s simply not enough anymore to be a bunch of cool guys and girls who love to throw down with each other. As individual competition was already super tough the last couple of years, it seems to be the same with the team competitions now and for the future. We need 6-10 highly competitive athletes to qualify for Regionals 2016, we will find and build them. It is gonna be hard and dedicated work both from athletes and coaches. I am very much looking forward to it, bring the grind, don’t forget the fun of it! Another change to previous years will be our presence in local european competitions. We are planning the season right now and will most likely show up in one or the other place. Headcoach Ramon Gysin ended the spectacle with 15.5 on his own. Dieser Beitrag wurde am 26. April 2015 von Lucie Pfändler in Events veröffentlicht. Schlagworte: 15.5, CrossFit Basel, CrossFit Games Open, Last WOD, Ramon Gysin, Switzerland. Back in our post about the year in review 2014, we mentioned Ramon’s contribution and support of a concept called The Training Plan. Now that he spent a weekend in Manchester at the Athlete Games, working as a coach and supporting TTP’s owner, Jami Tikkanen’s work with the athletes, we would like to introduce you to the idea behind the Training Plan. The Training Plan is a movement based SPP (Specific Physical Preparedness) template designed for CrossFit athletes. The goal is to help them achieve their full potential in Sport and Fitness. Whether the goal is to compete at a local level or to stand on the podium at the CrossFit Games – The Training Plan’s commitment is to provide a Plan that will get the athletes there. The foundation of the plan is built around movement patterns regardless of the type or duration of the challenge the athlete is facing. Investment in good mechanics won’t only allow an athlete to fully express the physical potential on the Game day but also to have a long and healthy career. Jami’s concept is followed by quite the impressing list of athletes such as Annie Thorisdottir, Frederik Aegidius, Björgvin Karl Gudmundsson, Simon Mäntylä and Lukas Högberg. All athletes receive programming and guidance from a fine coaching team which includes Jami Tikkanen himself, Chad Vaughn, Ramon Gysin (CF Basel), Darren Ellis (CF New Zealand) and Nate Helming (SFCF, Helming Athletics). Ramon supports Jami in programming for individual athletes and for TTP in general, particularly in the area of strength. Via phone Ramon and Jami hold weekly meetings to discuss thetrainingplan.co plus the athletes (such as Annie Thorisdottir, Frederik Aegidius) programming. As for the results from The Athlete Games check the Scoreboard. Congratulations to all the competitors and their coaches. Dieser Beitrag wurde am 21. Januar 2015 von Lucie Pfändler in Allgemein, Events veröffentlicht. Schlagworte: Challenge, Coach, Coaching, Competitions, CrossFit, CrossFit Basel, Jami Tikkanen, Programming, Ramon Gysin, Strength Training, The Training Plan, TTP.